The suspension system put into production by Henschel consisted of two suspension assemblies per side. Each suspension assembly consisted of a walking beam fitted with two bogie wheels that rode on the top of the steel track. The bogie assemblies of the Panzer 1 Ausf A ( Panzer II ) were attached to the hull by bolts and quarter-elliptic leaf springs. Three track return rollers were mounted on either side of the hull. The drive sprockets were at the front of the hull. The prominent rear idler wheels were adjustable fore and aft to set track tension. Sustained high cross-country speeds caused overheating of the Krupp air-cooled engine. A decision was made to lengthen the vehicle's chassis to accommodate a larger, more powerful, water-cooled six-cylinder Maybach engine. 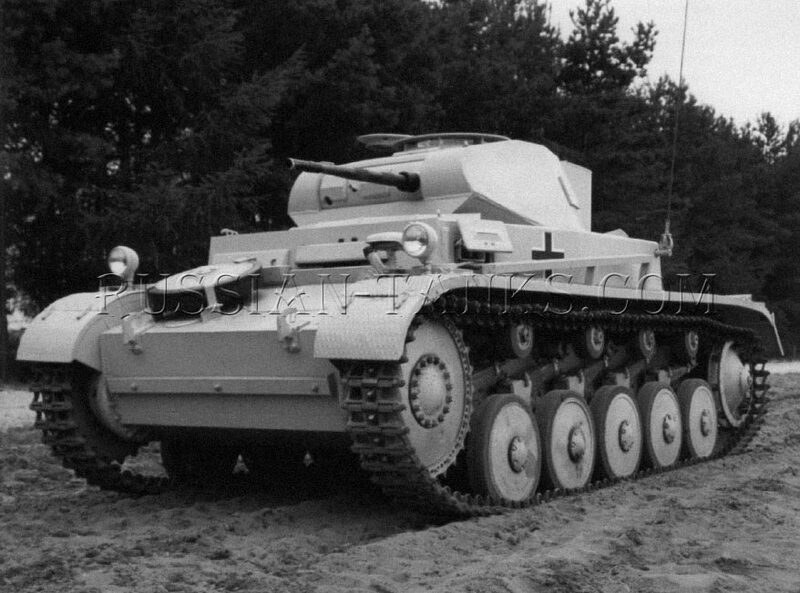 Vehicles with the new engine configuration were designated Panzer 1 Ausf B. Subsequent to this change, all German tanks were powered by Maybach water-cooled gasoline engines of various types and sizes. A total of 675 Ausf. В vehicles were produced between August 1935 and June 1937. Work was also proceeding on Ausf. С and Ausf. D versions of the Panzer 1 during this period. The Ausf. С never passed the prototype stage, while 40 of the Ausf. D versions were built and fielded between July and December of 1942 before production was canceled. 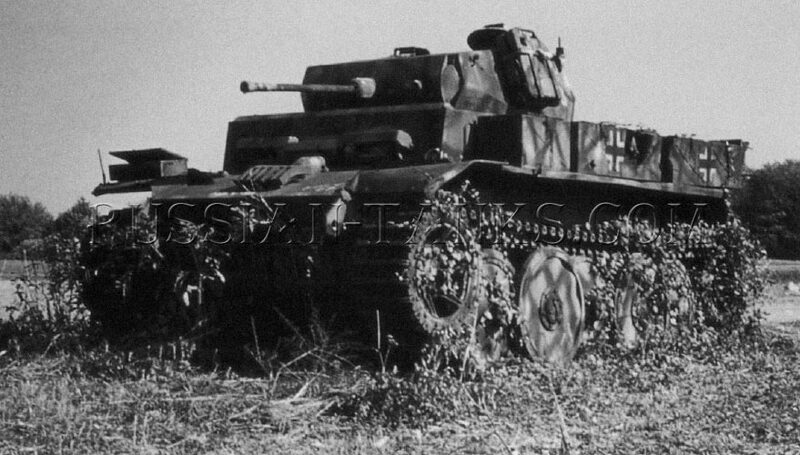 Panzer 1 light tanks played a prominent role in the German invasions of Poland in September 1939, and of France in May 1940. Aware of the vehicle's marginal battlefield performance, the Germans were not surprised by the high losses suffered in both campaigns. Because they lacked anything better, the Germans also employed Panzer 1 light tanks in the early stages of the invasion of the Soviet Union and the battles with the British army in North Africa. The Germans often modified production tanks to serve specific purposes. This cost-effec-tive method of using an existing chassis is practiced to this day by all industrial nations. 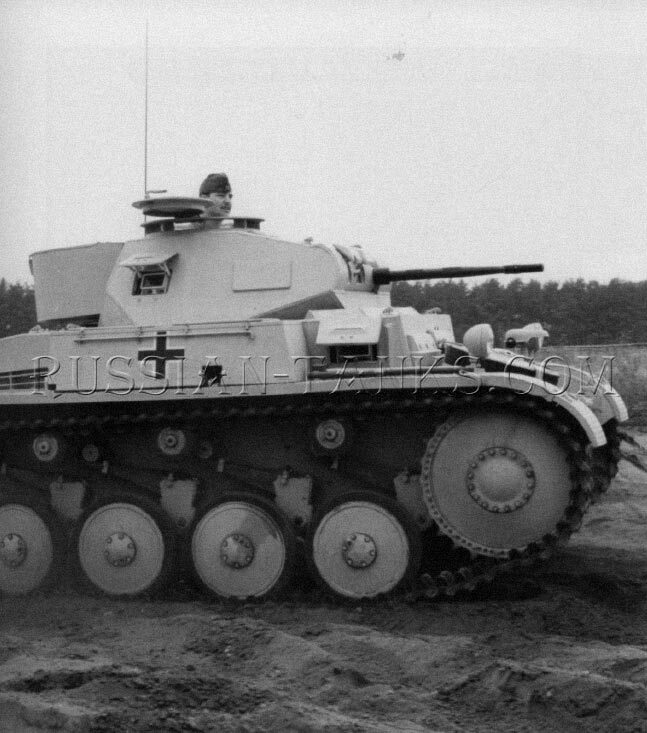 The best-known variant of the Panzer 1 was a small armored command vehicle based on the chassis of the Ausf. A and Ausf. B. The Panzer 1 command variant replaced the turret with a boxlike armored superstructure housing the three-man crew and two long-range radios. (The superstructure of a tank is that part of the hull rising above the level of the tracks.) Between 1935 and 1937 a total of 184 Panzer 1 command vehicles rolled off German production lines. The German army produced its first stopgap tank destroyer in 1939. It used the Panzer 1 Ausf В chassis. This variant, generally known as the Panzerjaeger 1, carried a 47-mm Czech gun. The Panzerjaeger (tank hunter) had a three-man crew and carried 86 rounds of ammunition. The first three German army panzer divisions were formed in 1935 with a target goal of 561 tanks in each division. Due to the shortage of tanks, this goal was never met. Even if this number had been available, 561 tanks was seen by senior German officers as an un-managable number and was soon decreased. By 1939, shortly before the German invasion of Poland, the German army had six panzer divisions with a total strength on paper of 400 light and medium tanks each. This figure also proved unreachable and was revised downward during the winter of 1940 to approximately 200 tanks in each panzer division. In reality, even this figure was seldom met. In the fall of 1943, the German army issued a new table of organization calling once again for a total of at least 200 tanks in each of its panzer divisions. This planned strength also proved unrealistic. Even the most elite panzer divisions in the German army typically contained no more than 150 tanks. Most panzer divisions had only 100 tanks at any given time. The German army's inability to replace its losses quickly resulted in panzer divisions with no more than a couple dozen tanks. 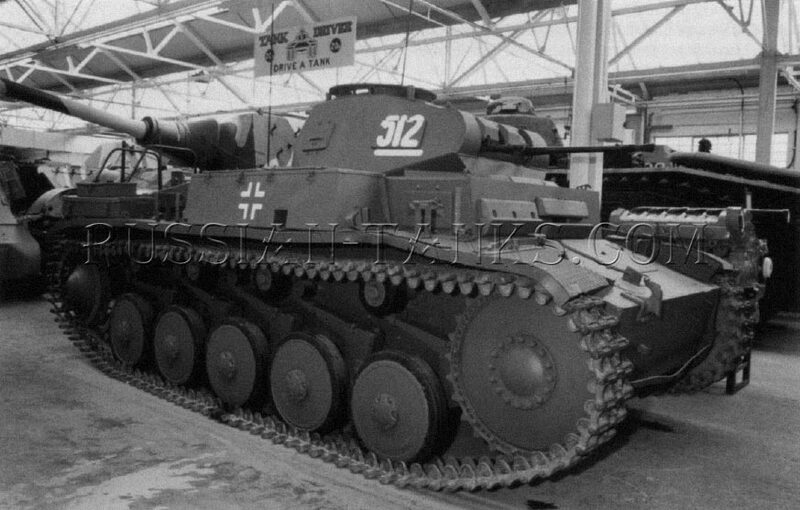 Because of their political status with Hitler, the Waffen-SS panzer divisions tended to get first crack at new tank production. This allowed them to have a full complement of tanks rarely seen in their army counterparts. The Panzerjaeger 1 was too small, and the gun too large, to fit within the confines of a rotating armored turret. The gun was placed in a limited-traverse mount on top of the vehicle. This arrangement required that the vehicle be turned toward the direction of its target. Thin, flat, steel-armored plates on the front and sides of the weapon gave the gun crew limited protection from small-arms fire and artillery fragments. The Panzerjaeger 1 first saw action during the invasion of France in May 1940. It would also be used in North Africa and during the beginning stages of the German invasion of the Soviet Union in June 1941. It was pulled from service in late 1941. A high-ranking German officer in World War II wrote an article in a postwar American military magazine discussing the theoretic tactical employment of Panzerjaegers versus wartime battlefield reality. In that 1953 article, the author described how in theory Panzerjaegers were held in reserve until a threat appeared. Once enemy German tanks were spotted, the Panzerjaegers would rush forward into previously reconnoitered concealed positions. Here, they would await the enemy tanks. In practice, the high silhouette of the Panzerjaegers and their thin armor protection made the theoretic tactical employment of Panzerjaegers very difficult to implement. Due to their height, the vehicles often could not find suitable concealed firing positions. Compounding the problem was the fact that Soviet tank units normally preferred open terrain for their attacks. So, the Panzerjaegers were often forced to take up firing positions that, despite the attempts to camouflage them, could not be kept hidden from the enemy. Hence, they swiftly fell prey to hostile tanks or artillery fire. Another problem faced on the eastern front by Panzerjaegers was the fact that Soviet tanks often appeared suddenly, without warning. When they did appear, their tendency was to punch through German defensive positions without pause and drive deep into the rear areas. This made it impossible for the Panzerjaegers to reach their carefully reconnoitered firing positions in time. They were thus forced to take up battle while still on the move. In this type of battlefield situation their lack of a 360-degree rotating turret, and thin armor, left them hopelessly outclassed by the enemy German tanks. Despite these shortcomings, the Panzerjaegers successfully filled the gap until better-designed vehicles called Jagdpanzers could take their place. As the German army began fielding more of the better-designed Jagdpanzers, the production of Panzerjaegers decreased. Dental clinic in Vienna VA dentist tysons corner Dental implants Vienna.